Is It Time to Get in on the Action with Parents Martial Arts? » Calling All Parents: Is It Time to Get in on the Action with Parents Martial Arts? If you have a kid who regularly attends martial arts classes, you may well be used to dropping them off and picking them up. They probably show you what they’ve learned too. But have you ever seriously considered giving it a try yourself? Parents Martial Arts? For some parents it’s a natural thing to do. They know the school and the trainers, and they’re already familiar with how much their kids have changed for the better. As such it’s a lot easier taking up martial arts yourself because you won’t be walking into a venue you’re completely unfamiliar with. Instead you’ll know the basics before you even book a class. You might even find you know some of your classmates too. You certainly wouldn’t be the first parent to be captivated by the martial arts your kids are getting involved with. And even if you’re the only one to take up the sport, you may still find you are glad you tried it. The great thing is, if you’re unsure about doing it or just curious, you can ask your child’s tutor before you do anything about it. They’ll be able to recommend a class that would be ideal for your needs and perfect for a beginner. 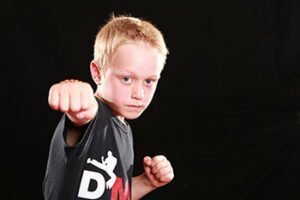 If you are just about to enrol your child in a martial arts class and they’re a bit unsure of themselves, it might also help if you started at the same time. You’d be in a different class of course, but you can help your child work through any nerves or uncertainty they might be feeling. In no time at all you’ll both feel far more confident and be reaping the rewards martial arts has to offer you. As a parent, you might benefit more than you’d think.